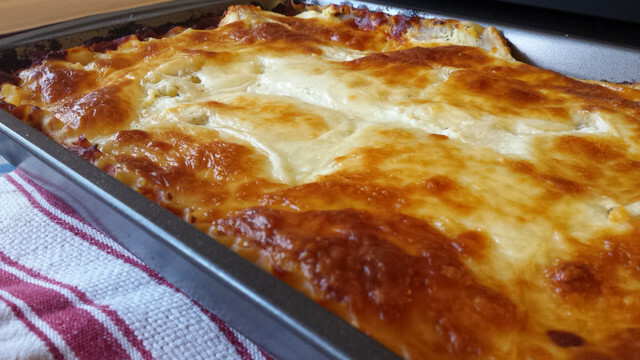 Recipe adapted from this recipe for lasagna. In a large dutch oven or biiiig pot, melt a pat of butter, and then brown sausage and beef. 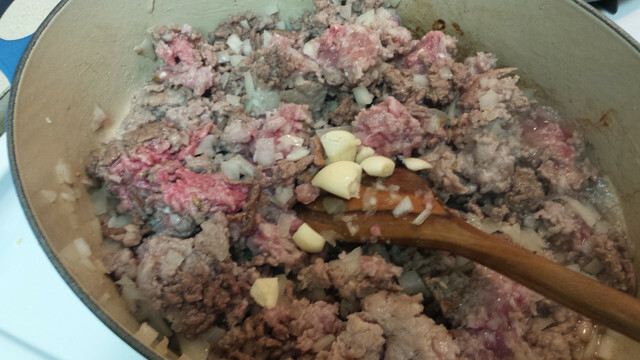 While that is browning, mince half of onion. Then, add the onion in. Smash garlic and add on top. 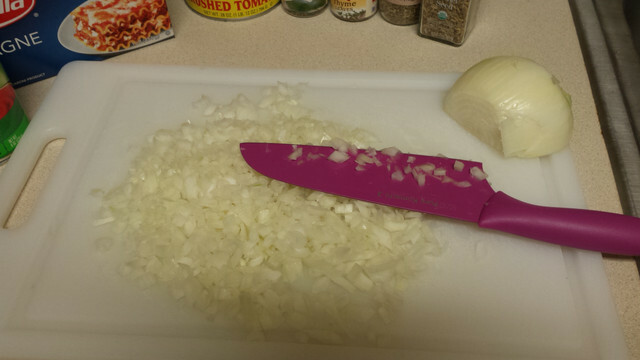 If you want a more prevelant garlic flavor, chop finely, grate finely, or press garlic and add in. Stir everything together. 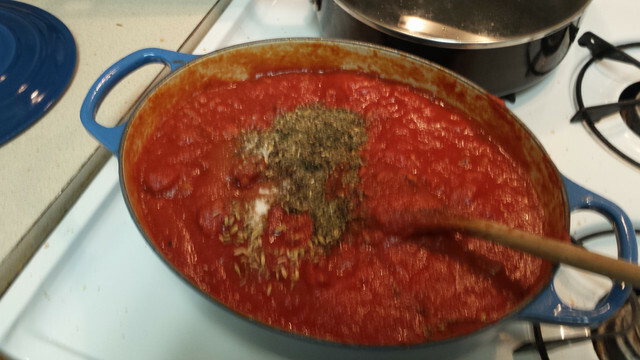 When meat is completely browned and onions have softened, add in tomato sauce, tomato paste, crushed tomatos, water, sugar, salt, pepper, fennel seeds, dried basil, onion powder, and italian seasoning. Stir everything together, put the lid on top, and allow to simmer on low for one and a half hours, stirring occasionally. While that’s cooking, prepare cheeses. 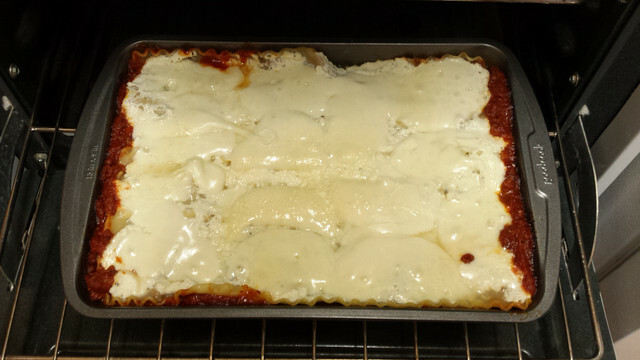 Slice mozzarella thinly and grate Parmesan cheese. 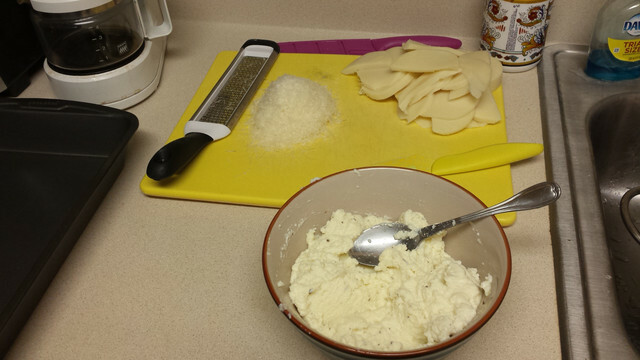 Stir ricotta and egg together, with a dash of dried basil and 1/2 tsp salt. 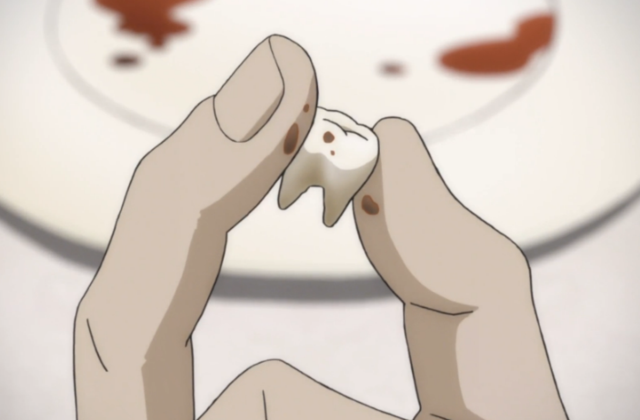 When sauce is completed and tastes yummy (taste-test it! 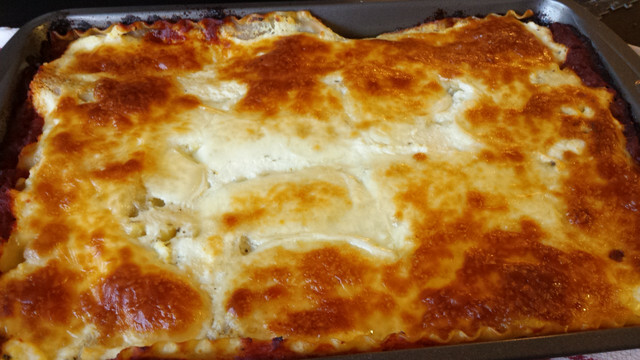 Don’t burn your mouth, though, it’s veeeery hot), boil lasagna noodles according to package instructions. When they’re ready, drain and rinse with cold water. 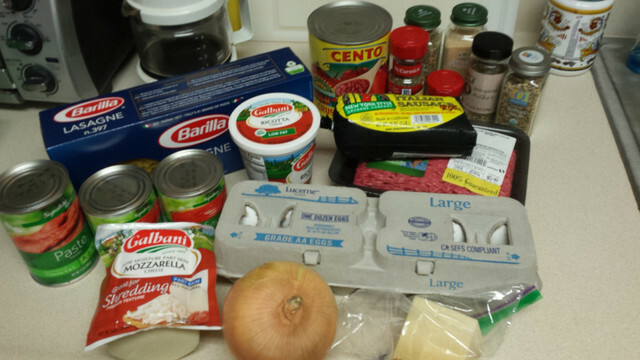 Start assembling the lasagna! 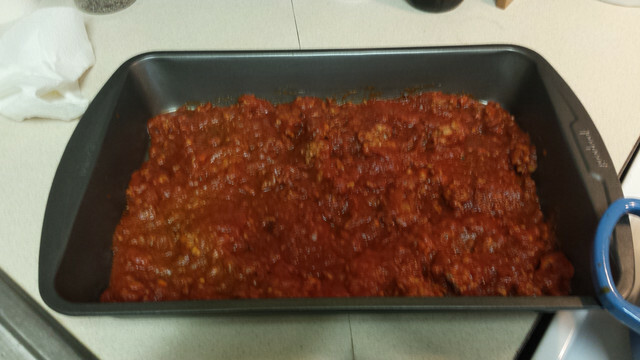 In the bottom of a 9 x 13 pan, place about 1 1/2 cup sauce. Layer 6 noodles over that (I only got 5, because I was being stingy, but you can definitely get 6 there. 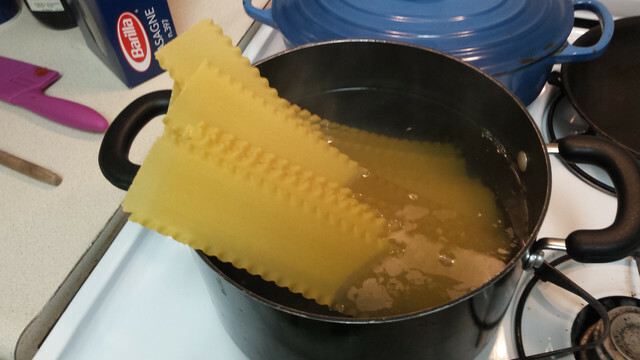 In hindsight, I would have used the 6th noodle on each layer). Then, spoon half of ricotta mixture over that and spread evenly. 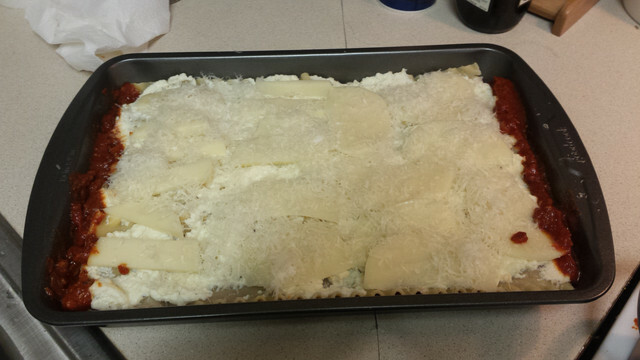 Layer with 1/3 of mozzarella slices, and 1/3 of grated Parmesan. 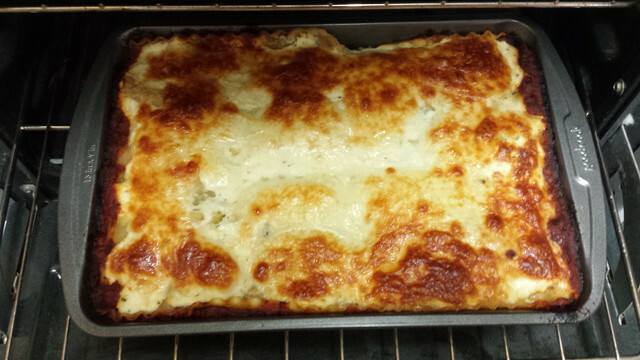 Then, start over with the sauce, noodles, and more cheese. 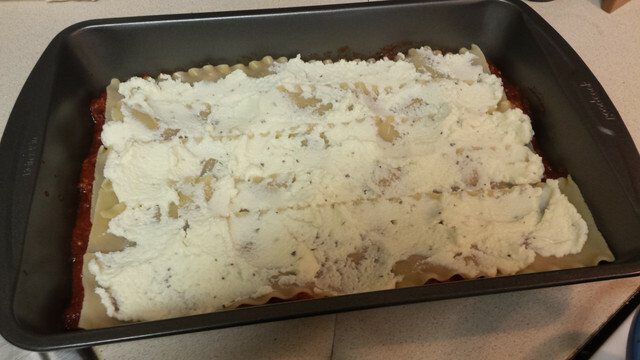 When everything is layered up, get ready to bake! Preheat oven to 375 degrees Fahrenheit. 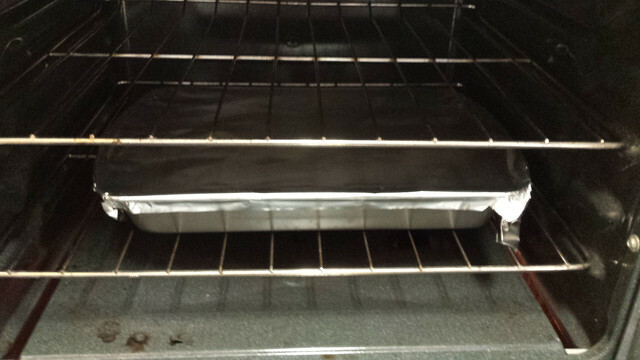 Cover with aluminium foil, and bake for 25 minuntes. 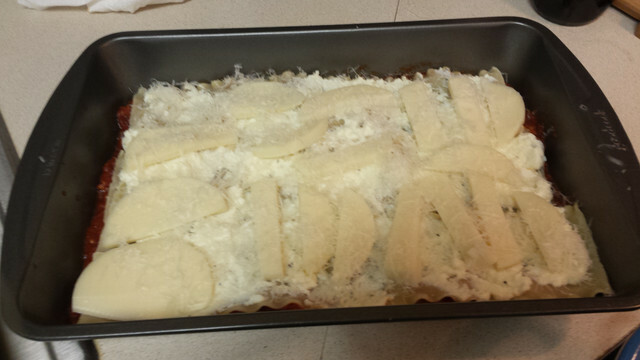 When ready, take the foil off and bake for 25 more minutes. 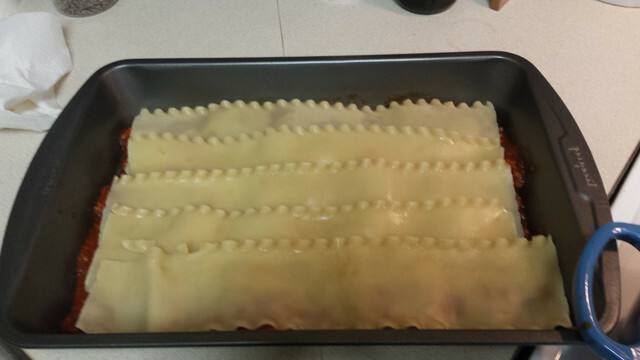 Take out of the oven and let cool for 15 minutes before cutting into it and serving.